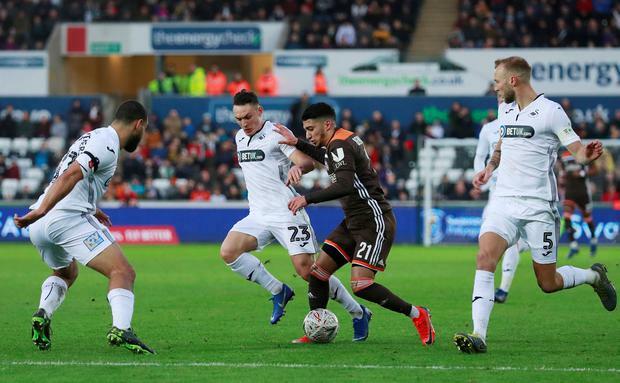 Dan James inspired an amazing second-half comeback as Swansea reached the quarter-finals of the FA Cup with a 4-1 victory over 10-man Brentford. 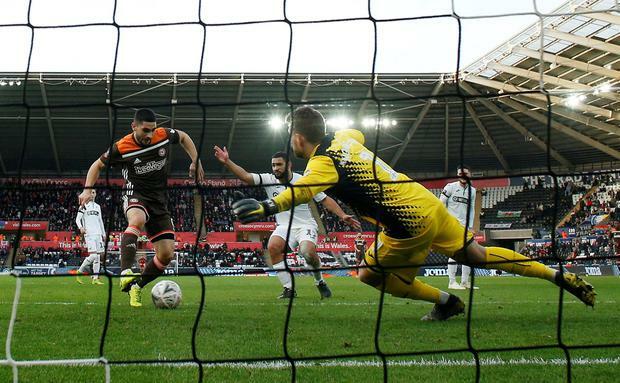 The Bees controlled the first half to deservedly lead thanks to Ollie Watkins' 28th-minute strike but Swansea equalised through goalkeeper Luke Daniels' own goal before James, Bersant Celina and George Byers found their way on to the scoresheet. 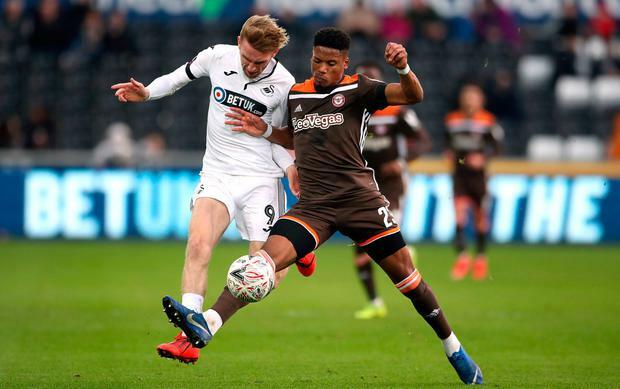 Brentford's misery was completed by the dismissal of Ezri Konsa and a yellow card for manager Thomas Frank following a touchline altercation with Swansea striker Oli McBurnie. 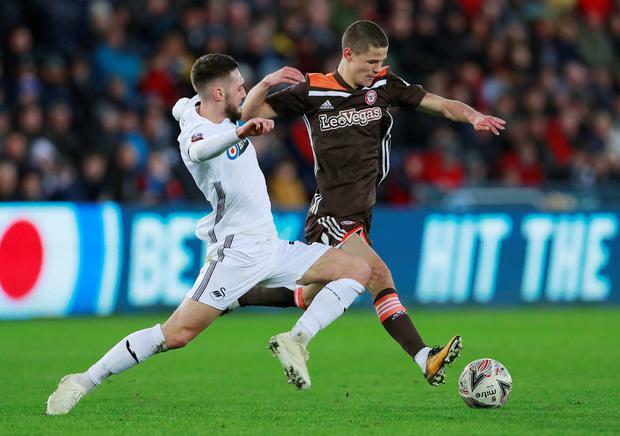 It was an incredible turnaround and one which Wales winger James - who almost joined Leeds on transfer deadline day last month - was right at the heart of. 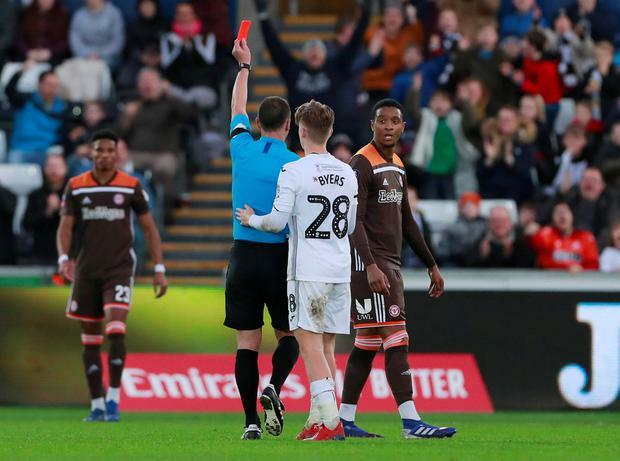 Swansea pulled the plug on the Leeds deal late on but James showed a fine attitude yesterday and won the free-kick which went in off the back of goalkeeper Daniels. His searing pace also took him 70 yards to blast Swansea 2-1 ahead and he was also involved as Konsa was sent off. Jack Harrison hit the winner as Leeds beat Sheffield Wednesday 1-0 to open up a three-point cushion on Sheffield United in the race for the Premier League.